Are you looking for the best homeschool resources? Here are our favorite homeschooling resources for every subject, along with information about home school curriculum, books, supplies, magazines, catalogs. Kindergarten Resources - Here's our top ten list of resources for homeschooling kindergarten. This list includes our favorite manipulatives, readers, workbooks and games, along with a description of how we use these items in our home. Christian Based Homeschooling Resources - Here are some easy-to-use, Christian resources you can use to teach your children about the Bible, scripture, doctrine, and hymns. Also incudes a list of our favorite Christian resource providers. Secular Homeschool Curriculum - Are you a nonreligious homeschooler? Overcome the challenges that come with secular homeschooling by checking out this list of secular curriculum providers. 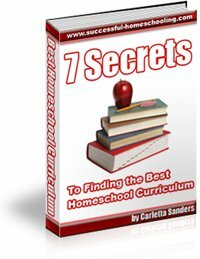 Are you looking for information about homeschool curriculum? 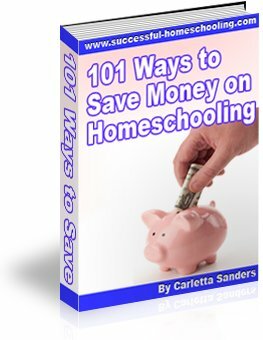 Download our step-by-step guide to analyzing your needs and goals, understanding different homeschool methods, and choosing the best homeschooling curriculum. Click on the image below to download your e-book. It's free! Note: We are still in the process of updating this page with information about the best homeschool books, supplies, magazines and catalogs on the market, as well as with information about "must have" resources for specific subjects.